Call us now to get professional spring cleaning for your house. Our cleaners are reliable and punctual and we offer their professional services at very affordable rates. If you have a hectic working schedule, you may find that time gets away from you and you barely have a moment to think about maintaining your house. After a while you may find that your home is looking a little worse for wear. Perhaps mild-dew spots may be building up in the showers or the kitchen floor is starting to feel a little sticky. You wouldn’t want to spend a precious weekend scrubbing away when you could be relaxing. After a couple months, even a house that has been cleaned regularly may start to look a little too lived in. After all not everyone would have the time to scrub the floors and wash the windows every week. Getting professionals to spring clean your house will bring back the shine and sparkle to your home with minimal effort. We firmly believe that a beautiful clean home will improve your mood significantly when you get home from work. 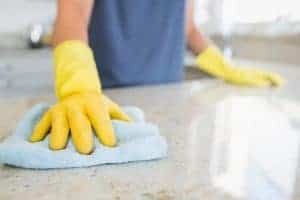 With the house having had a thorough deep clean, you can come home and feel relaxed without having to worry about any cleaning that still needs to be done. Perhaps you have always had to dedicate an entire weekend or two every year when the time comes to spring clean again. Why not give yourself a break this year and get someone else to do your dirty work! We will help clean every crevice of your house and ensure that you get a deep clean like never before. All without you having to lift a single finger. You will get to use that extra time to have a well deserved break. Our spring cleaning services are able to provide competent comprehensive cleaning of your house or home. We can clean your kitchen, bathrooms, windows and all the small details like lights, light switches, doors, door handles, walls, skirtings and your front and back entrances including any car port, garage, patio or porch or balcony. Our spring cleaning is a one off cleaning service available for houses, townhouses, villas, units and apartments. A spring clean is a good idea if you have been too busy to attend to the cleaning of your property. Even if the last time the house was cleaned was a long time ago Perth Home Cleaners can easily provide a full spring clean of your house. We supply all the equipment and materials necessary to finish your spring cleaning to your satisfaction. You can decide how deep a spring clean you would like for your house. Our cleaning service is flexible enough to cater to your instructions and carry out a custom spring clean of your home. We understand how most people are proud of their house and we respect that and provide a safe and secure cleaning service throughout Perth. A spring clean could be for an entry clean of a rental property or your own home. Our move in cleaning can be handy if you need a good spring clean before entering a house or making it available for rent. Our entry cleaning is suitable when you need to make a property condition report for a tenants bond before the tenant moves in. Regardless if the rental property is furnished or vacant, Perth Home Cleaners can assist you to achieve your ultimate goals and deliver a satisfactory pre rental clean or own home clean. Our spring cleaning is available for your exit cleaning when you are leaving your home or when tenants are leaving a rental property and require a bond cleaning. Exit cleaning is quite a deep spring clean and find customers in Perth need a deep spring clean for a variety of reasons. You may have temporally rented out your house while working away and now plan to move back in and your tenants are vacating the property or you may have a short stay rental property and require a hotel grade clean up, or you may be planning for an important family event and want to show of your house in the best possible light to all your house guests. Our spring cleaning can encompass your moving out cleaning. When all your furniture is removed out and all the cupboards are packed up our spring cleaners can go through the whole house after you have moved out and complete a spring clean, cleaning all the fine details that a vacated house presents. Our post rental cleaning service is efficient and through. End of lease cleaning is a type of spring cleaning when you are at the end of your tenancy and require cleaning of your rental property. Perth Home Cleaners provide full post tenancy cleaning in Perth and specialise in offering comprehensive house cleaning. Whether you have an apartment, a townhouse, duplex, house or an estate Perth Home Cleaners offers full end of lease cleaning services for a deep spring clean. We promise to act honestly and with integrity so you can trust us with completing your end of lease clean. A one off spring can be requested if you are vacating a property in Perth. We provide vacate cleaning services throughout Perth so if need a vacate clean we are the cleaners to phone or email. A one off vacate clean can be convenient if you are moving out and realize you have quite a daunting cleaning task ahead of you. Real estate agents are quite particular before releasing your bond and require certain bond conditions to be met by all tenants. Our vacate cleaners in Perth specialise in providing full bond cleaning for your vacated property. We provide spring cleaning for rental properties throughout Perth. You maybe renting the property and require a one off clean to make your house more comfortable or you may require a spring clean for your entry or exit of the property for your bond conditions. Spring cleaning of rental properties is easy to organise. We recommend you book in advance if your spring cleaning is for your bond return so that you can choose the best time and day for you. Rent inspection cleaning in Perth is a slightly different type of spring cleaning. Real estate agents inspect rental houses every three to six months depending on your track record. Usually they provide a list of competencies to meet and if you find you are too busy to clean your house for your rent inspection phone or email us to see how we can help. Bond cleaning in Perth is a particular type of spring clean. If your tenancy is nearing the end Perth Home Cleaners can be called upon to provide your bond cleaning of your rental property. We can clean the whole house, we start up high and work our way down, we clean the light fixtures, fans and remove any cobwebs. We either spot clean the walls or wash down the entire wall depending on its condition. We wipe and remove scuff marks from the skirting and door frames and clean all the doors, door handles and light switches. We dedicate time and powerful cleaning agents to clean the bathrooms and kitchen. We allow hard to clean areas to soak and scrub the rest of the room while waiting. We look to clean the air vents, exhaust fan and range hood. We carefully clean the stove top and oven and try to clean the grill the best we can. We wipe out all the cupboards, remove any personal items, and clean the cupboard handles and trim. We clean all accessible windows. We ensure the exterior of the property is presentable and clean the front and back entrances, remove any cobwebs, sweep any paths and patios and remove light rubbish on property. We check and clean the carport or garage and give it a clean up. Our bond cleaning is available throughout Perth, Fremantle, Joondalup, Rockingham and Mandurah, WA. Perth Home Cleaners provide pre sale cleaning for home opens for property listed for sale. Our spring cleaning can be utilised to make the property acceptable for viewings to the public and allow you to open the house with confidence. We can provide full cleaning services to prepare a home for its open including window cleaning. Similarly we also offer house sold cleaning once a house has been sold and vacated. We can complete a full vacate clean to meet contract conditions, as a courtesy service or on behalf of the new buyers prior to moving in. We find once one party has contracted our services the other party finds they also need a good cleaning service for their own new home. When you request a post sale clean please let us know your specifications and any special requirements so that the cleaning is carried out to your satisfaction. If you need a spring clean after building or construction our spring cleaning can assist you. Spring cleaning is particularly relevant if the construction is occurring at your current residence or if you have temporary moved out while the extensions were carried out. Before you can move back in you can send in Perth Home Cleaners to conduct a high specification post builder clean or if it is a new house a new build clean. Perth Home Cleaners provide full handover cleaning and our handover cleaners are recognised as industry leaders. When conducting your final clean for your building project we will work closely with you to understanding your cleaning requirements and present you a clean building ready for handover and final sign off. Property in Perth is extremely diverse so we also specialise in cleaning townhouses, villas, strata unit cleaning, common areas, apartment complexes and multi unit developments. We also provide spring cleaning for deceased estates. We can be utilised to spring clean a property that really needs it and are available on request. Your spring clean can include window cleaning, it is your choice. We are happy to include cleaning all accessible windows and will comprehensively clean the whole unit including the glass, frame, sill, tracks and window frame. To successfully complete a window cleaning assignment at your house you will need to allow a sufficient budget to give our cleaners time to carefully clean each window. Windows can easily leave traces of dirt or smears which is why we use professional equipment to maximise efficiency and the cleanliness of your windows. We are always happy to provide carpet cleaning when you request s spring clean of your property. Our carpet cleaning uses professional applying steam extraction with dirt and stain removal cleaning agents. Carpet cleaning is the perfect service to follow spring cleaning because your carpets need attention too and in places heavily used, sometimes just vacuuming or hand scrubbing stains just doesn’t cut it. Our carpet cleaners can make light work of cleaning your carpets. We provide stand alone carpet cleaning service or a combined service with spring cleaning. Our carpet cleaning is also available for rental properties and tenants ending their tenancy and vacating a house. We can provide a quote on request and offer to combine end of lease cleaning with carpet cleaning. If you live in Perth and need carpet cleaning to get your bond back Perth Home Cleaners can help because we are bond cleaners and can provide professional receipt. Our competent suite of cleaning services is available on request including spring cleaning and our full end of lease bond cleaning services. Perth Home Cleaners provide cleaning services to real estate agents, shot fitters, restaurant fitters, office fitters and for first build and second build situations. Our commercial cleaning services provides a one stop shop for your trade cleaning requirements. Real estate agents can simply email thorough their work orders and we will schedule to complete to the instruction. Perth Home Cleaners can be relied upon to meet your expectations. The more specific you are in your instructions the closer our services will match your expectations. Our full shop fitting cleaning and office cleaning services enables us to easily complete even the most complex cleaning situations involving many players, points of contact and a dynamic workplace. We can provide certainty at just the right time. Shop fitters and office fit outs usually work right up to the last possible moment and there is limited time to do a final clean for the official opening of a brand new office, shop or restaurant. With staff and customers expected at the premises at a predetermined opening date there is precious time to waste with cleaning, let alone a cleaner that is ill prepared , too busy, disorganised or under staffed. Perth Home Cleaners is an easy choice for its professional final cleans of shop fit outs and office extensions for business owners that want a delivered serviced at a specified time. 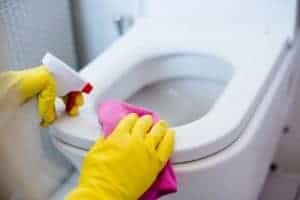 Perth Home Cleaners is able to take last minute cleaning requests and offer emergency cleaning services throughout Perth. We specialise in delivering large to very large cleaning assignments on short notice and offer full spring cleaning for domestic, residential property’s and commercial, trade customers. Our last minute booking system is designed to give you piece of mind for your complex cleaning assignment and we work to build trust and rapport to deliver the best possible cleaning outcome. Perth Home Cleaners commercial cleaning services includes spring cleaning for offices. We are the perfect solution for a large dirty office and can have a team of experienced cleaners at your office promptly. Our spring cleaning of an office is comprehensive and includes the exterior and interior. We collect rubbish, wash over the kitchen and bathrooms, clean the floors and look for all the hard to reach spaces and high use areas to provide a refreshing deep spring clean of your commercial premises. Our commercial cleaning services are available on request and can provide estimates and quotes easily to you. The most important aspect you should consider is the quality cleaning you want to receive. If you want the ultimate spring clean of your commercial site phone us anytime, we keep our appointments and perform to a high level. Industrial cleaning and trade cleaning is our speciality so if you have an industrial site that requires a deep spring clean we are the cleaning providers to call. Our team of experienced industrial cleaners use fast acting cleaning agents and superior cleaning equipment to efficiently provide competent industrial cleaning services throughout Western Australia, WA. Our industrial cleaning crew is able to safely enter your complex and work specifically to your instructions and spring clean exactly what you want. Industrial cleaning can also include shop and restaurant fit outs, a builders clean or a new build clean. Industrial cleaning is any cleaning service to customers working in a trade or trade related industries. Please phone or email us anytime to enquire about a spring clean. Our cleaning service is available throughout Perth, Fremantle, Joondalup, Rockingham and Mandurah.